Today was the day that her results came in, and she smashed it! 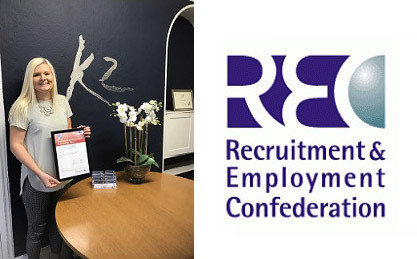 We are so proud of Keri our Branch Administrator as she has now passed her Certificate in Recruitment Resourcing after a few months of intense studying and hard work. Now with her letters after her name this really amplifies her growth in her time here at K2 Recruitment and shows her passion and commitment for her career and her personal development. Asking Keri how she feels, she responded "I really am over the moon, the hours of revision and graft are totally worth it, the adrenaline and sense of nervousness that you feel when opening your results and seeing that you’ve passed is literally the best!!" Cindy, Managing Director says "There is nothing better than being able to offer your team industry recognised qualifications that will enable them to grow and develop and really make a name for themselves within our market. Keri is a well loved member of our team and is a true K2 Ambassador, we are so very proud." Well done Keri, you deserve it, now go and celebreate!